George M1GEO has recently been running a SDR decoding WSPR on several HF bands at the same time. 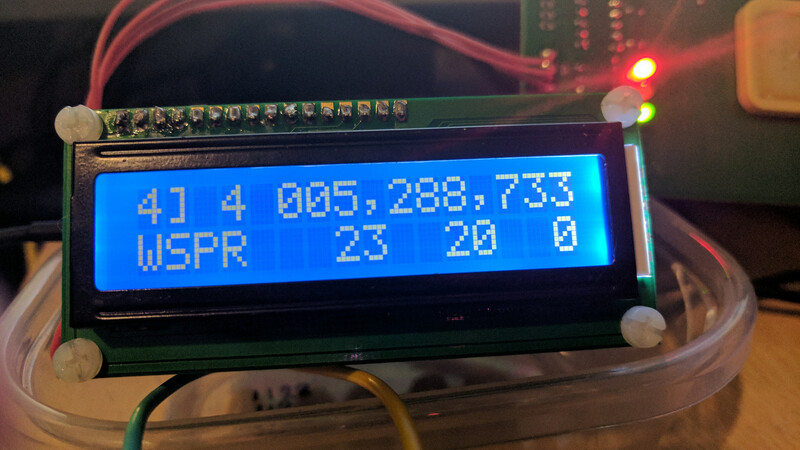 Very much work in progress, I thought it would be good to try WSPR spots over a 24 Hr period and then graph the results. George is located on JO01OK and thats 119 KM away from my JO02CN location. In the winter you would expect 5 MHz to support QSO through the day, with the band closing around sunset. In reality the band is often open for just a few hrs in winter, and the graph provides a good demonstration. The data set is made up from 62 WSPR reports, collected by M1GEO. I set my QRP labs U3S to TX at 200mW every 10 minutes. The total number of samples we could have collected was 6 (Per Hr) x 24 = 144, although in reality George was unable to receive my signal from around 17:00 Hrs till 07.40. This would account for 14 Hrs, approximately 80 samples. The samples that are missing (no signal received) have been replaced with -30 so they are plotted on the axis, in effect -30 indicates no signal detected. The yellow line on the left indicates sunrise, and on the right the black line is sunset. Some points to note on the data have been highlighted. Its interesting to note the band opens shortly after sunrise and closes shortly after sunset. On this day while the band did open around sunrise, it sparked into life once around 08:10 but didn’t really support good signals till after noon. From around midday, till around 14:00 hrs it was quite stable, but you will notice signals deteriorate from around 14:00 till around 1630. It has one little flourish of activity around 1710 before closing at 17.15. This can sometimes be seen, as darkness approaches the band improves just before it closes. As the lighter evenings approach you would expect the band to stay open for longer, and even support inter G all night. Its interesting to see how not just daylight but time of day has an impact on the bands propagation.